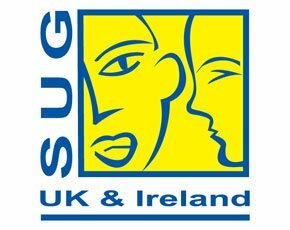 SAP has made changes to licensing this week that go some way to meeting user group demands. Customers can now link the purchase of new SAP applications operated on-premise to a partial termination of user licenses and maintenance fees. The supplier announced the change on its ‘Service Marketplace’. Philip Adams, chairman, UK & Ireland SAP User Group welcomed the development. In a press statement Adams said: “This is a step in the right direction from SAP and shows that the company is listening to our calls for flexibility. Along with making it easier and more attractive for existing customers to move to cloud solutions, we’ve also been pushing SAP for a couple of years to enable the parking or partial termination of licenses. “Until now if a customer had one contract from SAP covering all their licenses they could not choose to turn off some of those licenses and the associated maintenance costs. With the changes SAP has made this week, customers will be allowed to terminate parts of their estate and gain reductions in their maintenance charges. “However, to be clear, this is not SAP allowing them to park licenses. Customers need to be careful and consider whether they are likely to need licenses they are not using at the moment in the future. Once licenses have been terminated they cannot be switched back on. “Essentially, if a customer needed those licenses in the future they would need to purchase them again, possibly at lower discounts. Yet for companies that have been significantly hit by the economic downturn over the last few years and find themselves with a much smaller workforce, which is unlikely to expand in the short to medium term, this policy from SAP could be very attractive if, after rediscounting, the maintenance fees reduce. For other customers, the existence of a formal policy from SAP that clearly states they can re-allocate existing investments to newer on premise or cloud solutions from SAP will be welcomed”. Andreas Oczko, member of the German user group, DSAG, board, also welcomed the change: “The new flexibility in licensing takes pressure off of SAP customers. Decision-makers at SAP user companies can now react accordingly to the rapid pace of change in economic conditions – such as new or changed areas of business, fluctuations in staff headcount, or changes in the enterprise organization – and plan their investments in SAP software more effectively. This is something we have worked on jointly for a long time”.